With the Z390 chipset right around the corner, yesterday we reported that ASRock had jumped the gun with announcing their product stack. Today GIGABYTE has done the same with their new Z390 range with a total of ten new models to complement the launch of Intel's soon to hit the shelves 9th generation of processors. Earlier on in the year with their AMD B450 chipset motherboards, GIGABYTE has altered their Aorus product naming scheme to help users differentiate between models. This change is to help eliminate the somewhat confusing numbering scheme of boards, and is something most other manufacturers have started embracing as well. 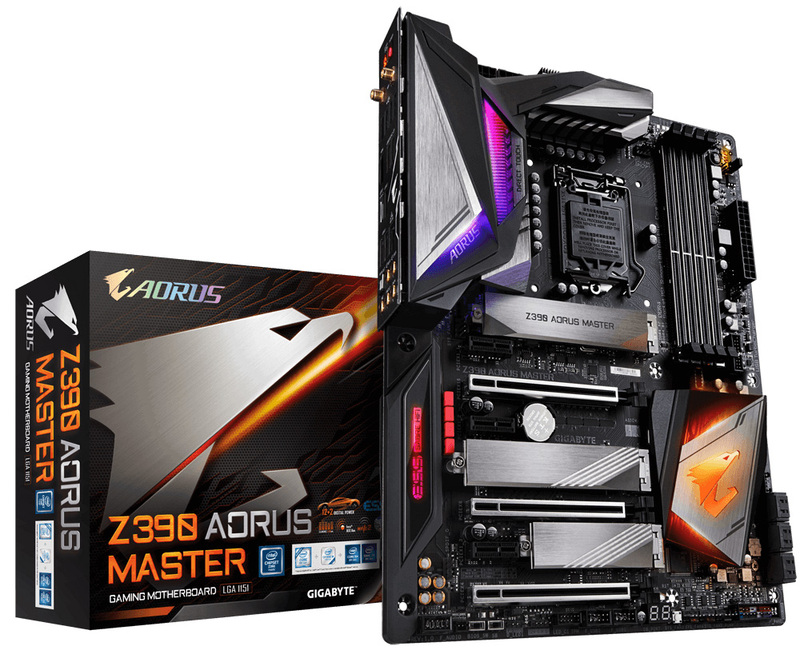 First up is the GIGABYTE Z390 Aorus Master, which replaces the previous Z370 Aorus Gaming 7 and sits directly below the soon to be released Z390 Aorus Xtreme flagship model. The Z390 Aorus Master will have a total of three M.2 PCIe 3.0 x4 slots and three full-length PCIe 3.0 slots operating at x16, x8, and x4, which means support for two-way SLI and up to three-way CrossFire is supported. The Aorus Master also makes use of a Realtek ALC1220-VB audio codec and an ESS Sabre 9118 DAC; 2x2 Wave 2 Wi-Fi is also a notable feature. Other models released in the Z390 Aorus gaming range includes the slightly lower spec Z390 Aorus Ultra, which retains much of the core and premium features of the Z390 Aorus Master. 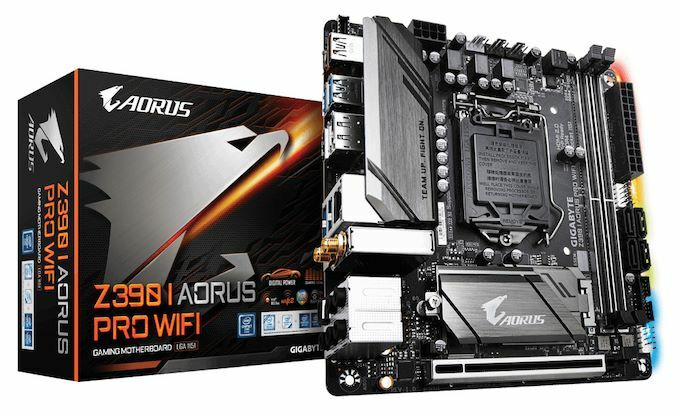 Also announced in the new Aorus product stack is the Z390 Aorus Pro, Z390 Aorus Pro WIFI, the Z390 Aorus Elite, and a new gaming-focused mini-ITX motherboard, the Z390 I Aorus Pro WIFI. Meanwhile aimed primarily at gamers on a budget, a trio of non-Aorus branded gaming-centric motherboards have also been announced. These include the Z390 Gaming SLI and Z390 Gaming X, with both boards offering dual M.2 PCIe 3.0/SATA slots, six SATA ports and an Intel I219V Gigabit LAN. Differentiating the two boards is SLI support and the audio codec; the Z390 Gaming SLI includes two-way SLI support and utilizes a Realtek ALC1220-VB audio codec, while the Z390 Gaming X drops the audio codec down to a Realtek ALC892 HD codec. 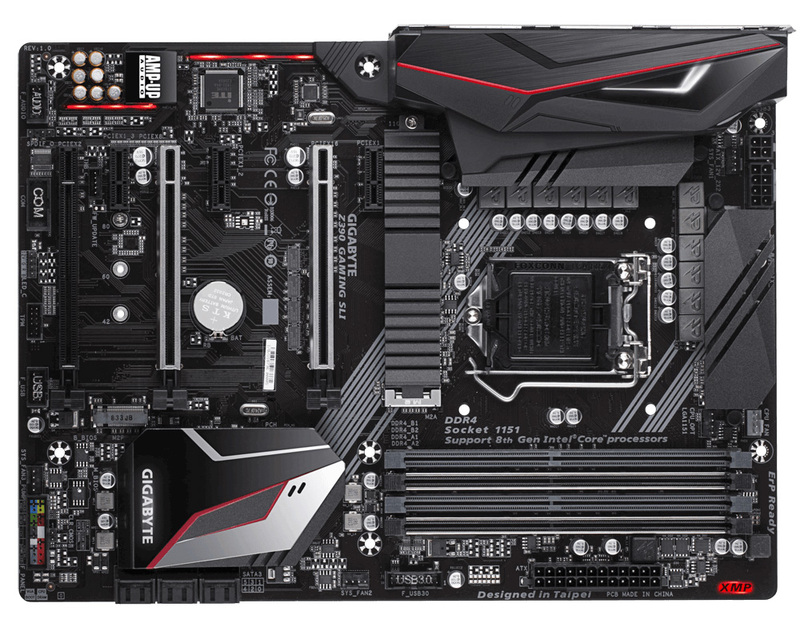 The third member of the group, the mATX-sized GIGABYTE Z390M Gaming, offers many of the same features the ATX sized Z390 Gaming X model but in a smaller frame. The Z390M Gaming has a Realtek ALC892 audio codec, Intel Gigabit LAN, and also has a total of six SATA ports. The final board in the GIGABYTE Z390 product stack to be unveiled is the professional and ultra durable Z390 UD, which drops all of the gaming-themed brandings and focuses primarily on offering users a cost-effective and entry-level route onto the new Z390 chipset. The entry Z390 UD has a Realtek ALC892 HD audio codec, sports two full-length PCIe 3.0 slots running at x16/x4 respectively, and includes two USB 3.1 Gen2 ports (Type-A and Type-C) on the rear panel. This is a good indicator that vendors are making use of the native USB 3.1 Gen2 integrated within the Z390 chipset, even on their base models. Pricing and availability on the GIGABYTE Z390 motherboards is currently unavailable, but we will be doing a full overview of the Z390 chipset next week where all will be revealed. There's plenty of Z370 mATX boards, they're just at the bottom of the Z370 product stack and don't get media attention because the margins there are much lower than the flagship ATX boards. Mid-end on mATX is a total niche market and when you're a niche buyer you can't expect media coverage all the time.